Arriving on barges, train cars, or inside specially modified airplanes, components of new aircraft are shipped to massive, complex factories around the world, where Boeing, Airbus, and other aircraft manufacturers assemble new airplanes and test each one to make sure it’s in proper working order before delivering it to its new owner. Tracking new planes poses a challenge because callsigns and departure or arrival airports can be missing or the aircraft may be operating under a temporary registration. But with a few filters, it’s possible to see new airplanes being born. Airbus manufactures aircraft at multiple facilities in Europe, China, and soon, the United States. Airbus’ two main manufacturing complexes in Europe are in Toulouse, France, and Hamburg, Germany. In Toulouse, Airbus assembles its A320, A330, A350, and A380 aircraft. The location in Hamburg assembles members of the A320 family of aircraft (A318/319/320/321) as well as painting and final delivery of A380 aircraft. Airbus also assembles members of the A320 family in Tianjin, China. Soon Airbus will begin assembling A320 family aircraft in Mobile, Alabama in the United States. 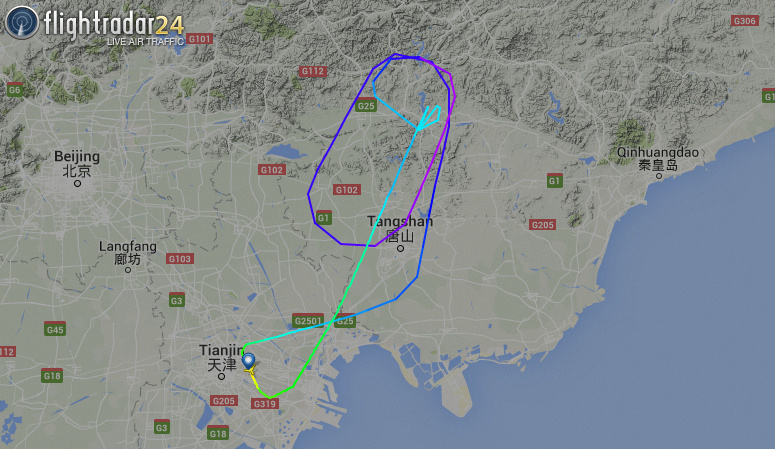 A test flight of an A320 assembled in Tianjin. 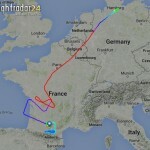 An A380 test flight from Toulouse to Hamburg, where the aircraft will be fully painted and delivered. 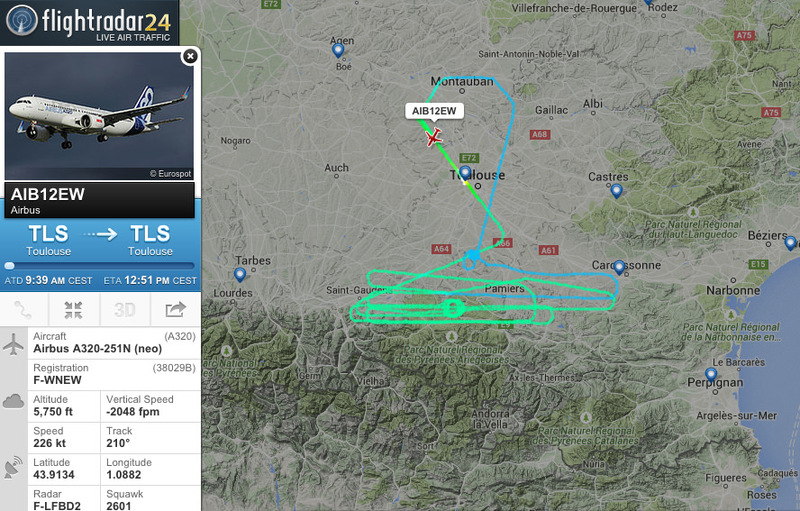 An Airbus A320neo conducts a test flight in Toulouse, France. To see the flights between factories in Toulouse and Hamburg, set an airport filter for both airports. Boeing manufactures their commercial aircraft at three main locations. Boeing’s Renton, Washington, facility manufactures its 737 variants, while its Everett factory produces the 747, 767, 777, and 787. 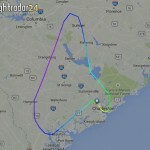 Boeing produces additional 787s at its newest factory in Charleston, South Carolina. 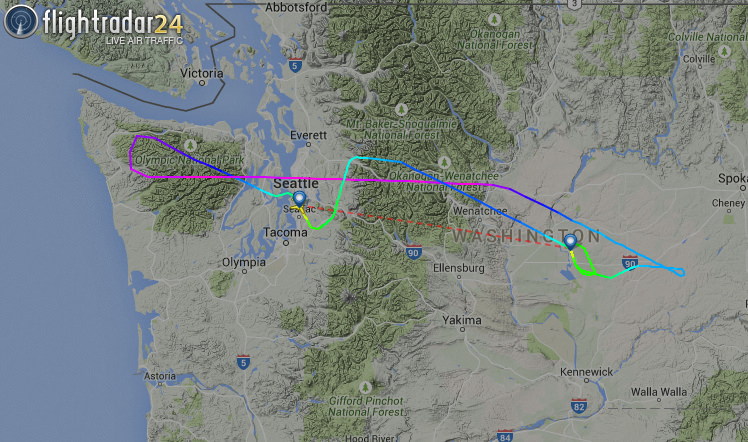 Boeing 737 Test Flight from Boeing Field. 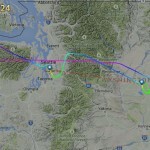 Boeing test flight of new FedEx 767. 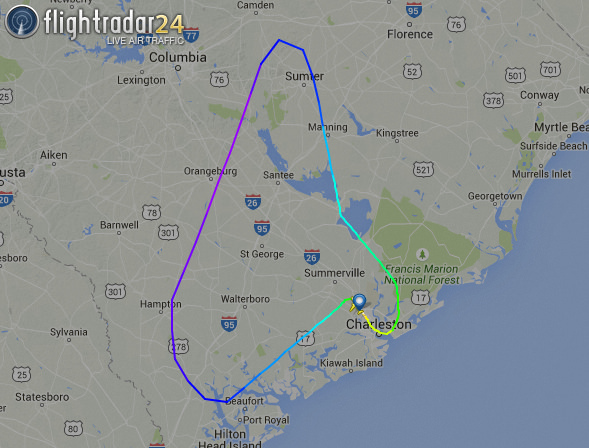 A test flight of a Charleston-built 787 for Xiamen Airlines. 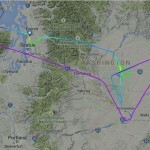 Other airports that may be helpful for tracking Boeing flights are Moses Lake (MWH) in eastern Washington and Victorville (VCV) in California. 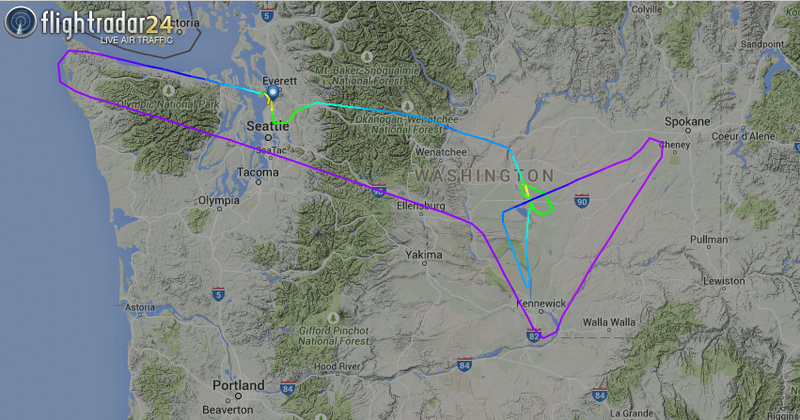 Boeing maintains test facilities at Moses Lake and many test flights pass through there on a regular basis. Victorville hosts some of Boeing’s aircraft for painting and modification. Bombardier is currently seeking certification for its new CSeries aircraft. 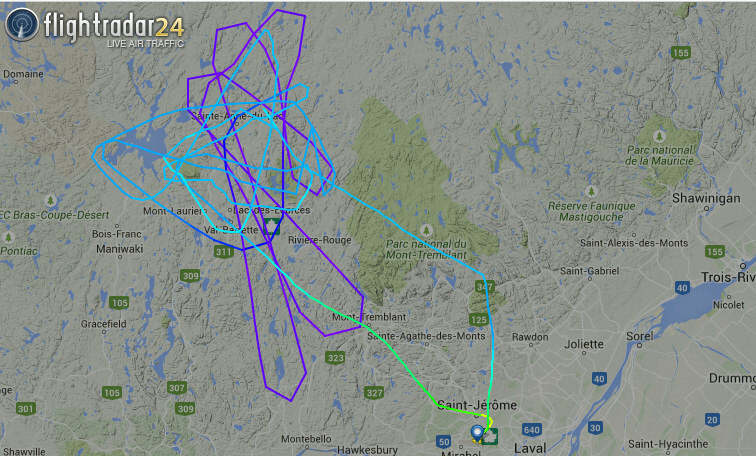 Built in Canada, just outside of Montreal, the CS100 and CS300 aircraft are undergoing extensive flight tests. To track Bombardier aircraft, set a callsign filter for “BBA”. 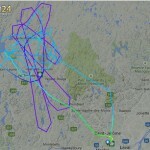 To track just the CSeries aircraft, set an aircraft filter for either “BCS1” or “BCS3”. 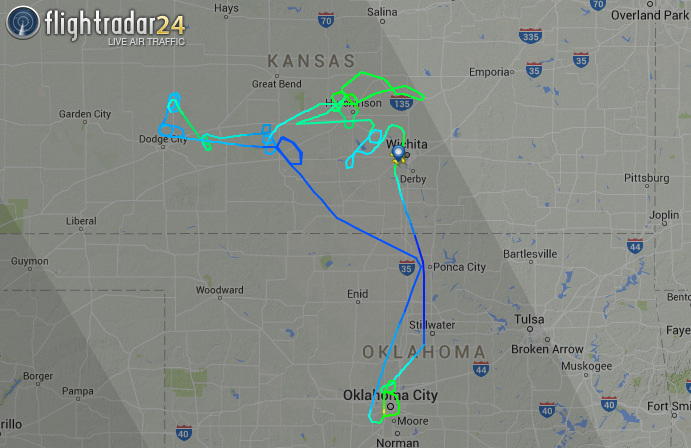 A Bombardier CS100 performs flight tests out of Wichita. 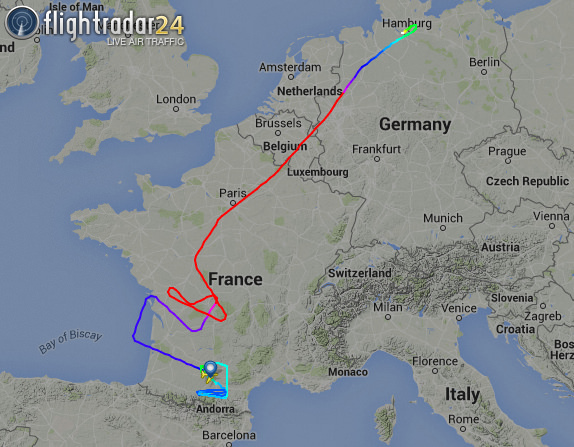 Bombardier’s CS300 performing flight tests. Both Boeing and Airbus maintain a fleet of specially modified cargo aircraft to transport aircraft components to their factories. 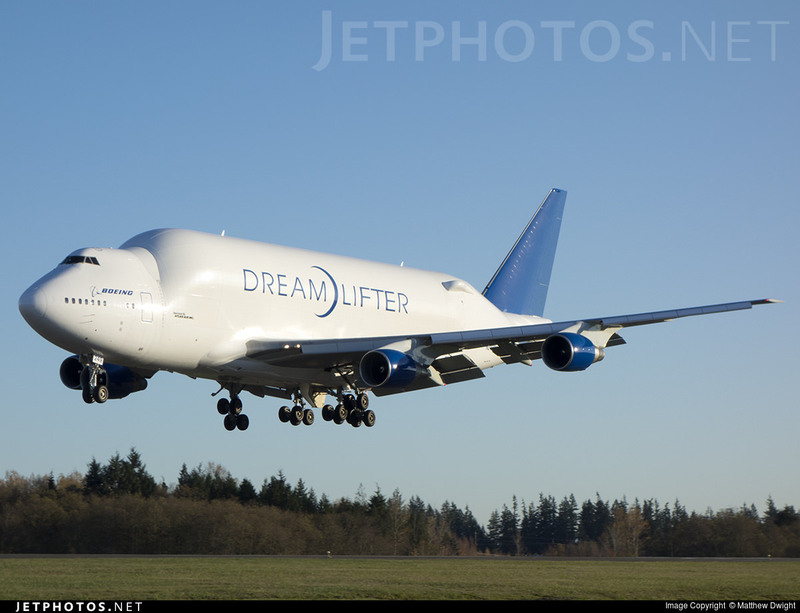 Boeing uses modified 747-400 aircraft to carry sections of its 787 Dreamliners, which they’ve named the Dreamlifter. Its proper title is a bit less poetic as it is denoted as the Boeing 747-400LCF (large cargo freighter). 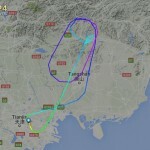 To track Boeing’s Dreamlifters, set an aircraft filter for “BLCF”. 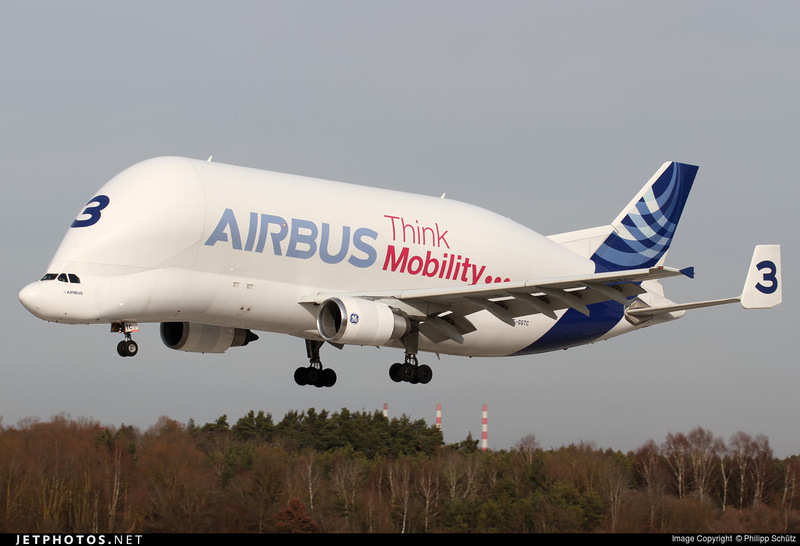 Airbus heavily modified five A300 aircraft to form its Beluga fleet. The Belugas are used to ferry parts, including wings and fuselage sections from fabrication centers in the United Kingdom, France, and Germany to final assembly in France, Germany, and Spain. 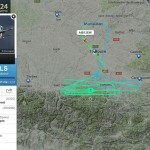 To track Airbus’ Beluga fleet, set an aircraft filter for “A3ST”. 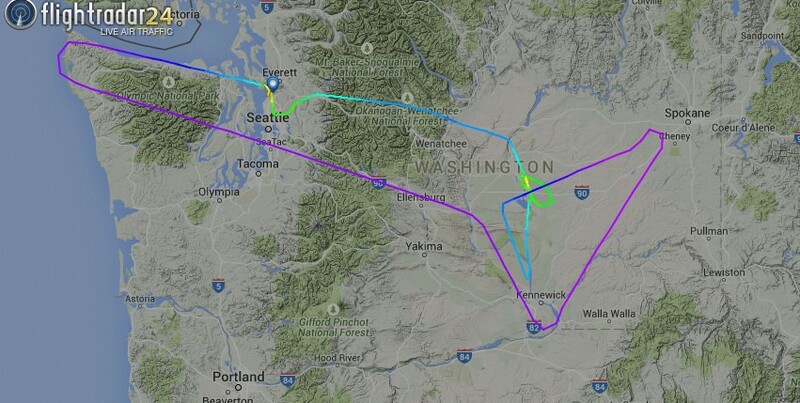 Tracking new aircraft can be exciting as it’s possible to watch a single airframe make it through multiple test flights and then delivery to the customer. Because tracking new aircraft manufacturing relies heavily on filters, our primer on filters may be helpful. Happy tracking!